The Aim of this devotional study is to see how in Christ we can fully know God, and how Christ in us can represent God to the world. 1 In the beginning was the Word, and the Word was with God, and the Word was God. 2 He was in the beginning with God…. 14 And the Word became flesh and dwelt among us, and we have seen his glory, glory as of the only Son from the Father, full of grace and truth… 16 For from his fullness we have all received, grace upon grace. 17 For the law was given through Moses; grace and truth came through Jesus Christ. 18 No one has ever seen God; the only God, who is at the Father’s side, he has made him known. What does this text reveal about Jesus Christ? According to this section from John, what are the reasons why Jesus came to earth? Throughout John’s gospel we read references to the Old Testament. This is very deliberate. Compare verses 17-18 with Psalm 89:14 “Righteousness and justice are the foundation of Your throne; Mercy and truth go before Your face.” Note the similarity in sentence structure and nouns – it seems like a deliberate comparison. Write down what you notice and deduce the author wants to communicate. If Jesus came to reveal God the Father to us, how would you describe God’s character/ nature (in 5 points)? Think of the life of Jesus before you write down anything. Considering 1 John 4:12, how can you represent God to the world? What will you do today to represent God to the world? Pray sincerely to know God and represent him well, as His Son Jesus did. The Aim of this devotional study is to learn how Paul revealed God to the secular, pagan Greek society in Athens, and evaluate our understanding of the One True God. 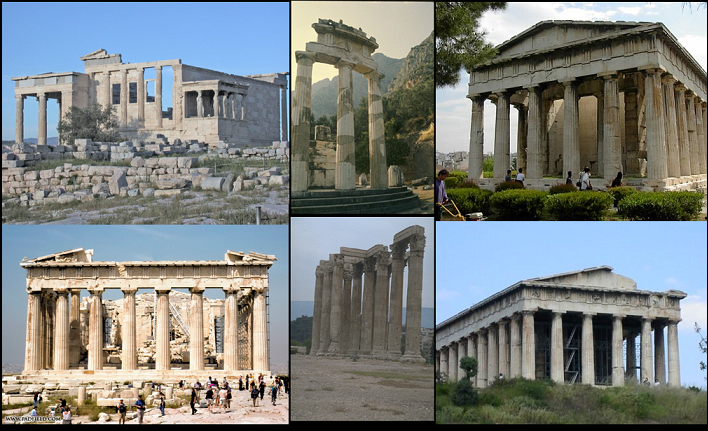 A few ruins of the pagan temples Paul saw in Athens. 22 So Paul, standing in the midst of the Areopagus, said: “Men of Athens, I perceive that in every way you are very religious. 23 For as I passed along and observed the objects of your worship, I found also an altar with this inscription, ‘To the unknown god.’ What therefore you worship as unknown, this I proclaim to you. 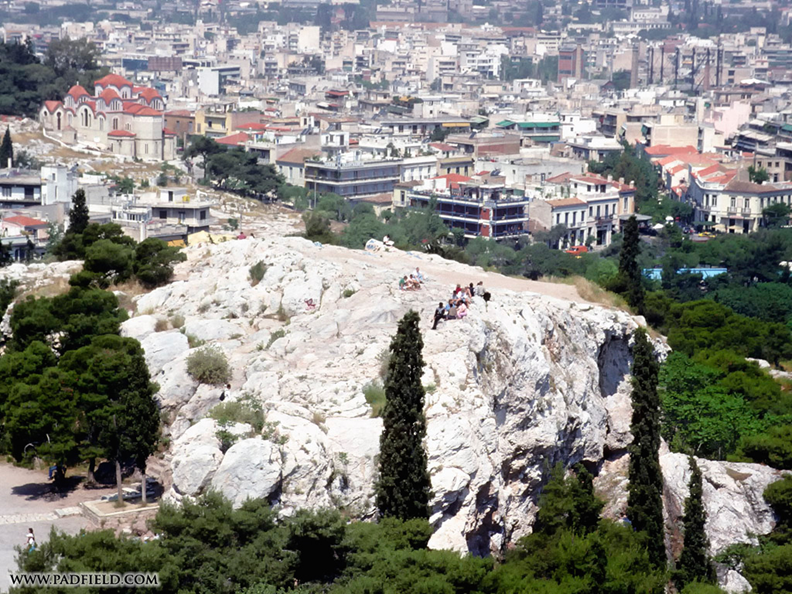 The “Areopagus” is a big rock overlooking ancient Athens, used by the elders to judge civil disputes (as a modern court). 24 The God who made the world and everything in it, being Lord of heaven and earth, does not live in temples made by man, 25 nor is he served by human hands, as though he needed anything, since he himself gives to all mankind life and breath and everything. 26 And he made from one man every nation of mankind to live on all the face of the earth, having determined allotted periods and the boundaries of their dwelling place, 27 that they should seek God, and perhaps feel their way toward him and find him. Yet he is actually not far from each one of us, 28 for “‘In him we live and move and have our being’; as even some of your own poets have said, “‘For we are indeed his offspring.’ 29 Being then God’s offspring, we ought not to think that the divine being is like gold or silver or stone, an image formed by the art and imagination of man. Paul was appalled by the senseless idolatry in Athens and started preaching, but was soon brought to the Areopagus, the local rock of judgment before the city’s elders for preaching a new religion. Take notes of his concise preaching of this “Unknown God”. How does he present God to them? 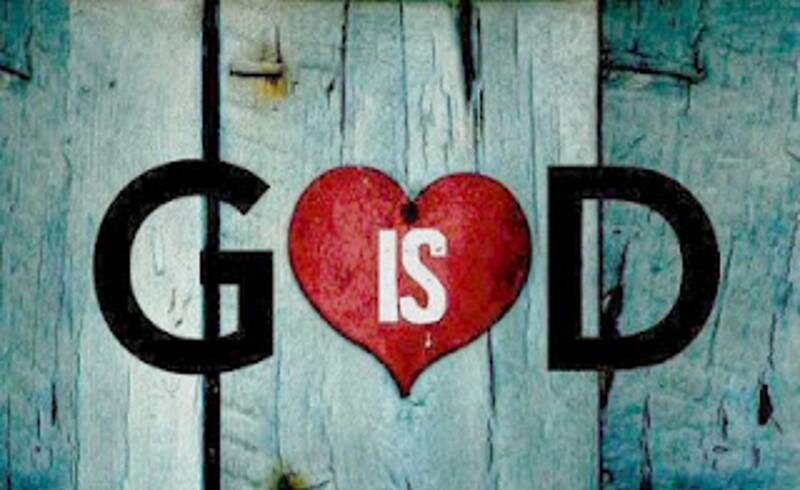 What are the attributes he chose to describe God with? Paul preaches God as the creator of the world and all in it, of heavens and earth (v24), of life (v25) and all mankind (v26). How does that challenge prejudice in our racially diverse nation? Paul preaches God as being self-sufficient needing no temple (v24), no idols (v25, 29), not even service or worship (v25). How does that challenge your motive for service and worship? Paul preaches God as sovereign being Lord of all mankind (v24), determining physical borders and periods of dominion of nations (v26). How does that challenge your view of international currency fluctuation and ilitary power in the world? Even of wars? Paul preaches God as immanent (Afr = toereikend) being close to us (v27) even giving us identity (v28). How does that influence your prayer life now? Paul praches God as gracious, overlooking the past sins in ignorance (v30) and commanding repentance from all to avoid judgment (v30). How does that challenge your attitude towards openly immoral people and people from other religions? And the way you approach to God considering your repeated weaknesses and sins? Paul preaches God as judge who determines the judgment day and has appointed teh judge (v31). How does that influence your view of God? Through the day, think about this: If you went on mission to India and were dragged before the local elders by religious fanatics, how will you describe God to them, with the aim to challenge their faith and life? Pray through the major attributes of God mentioned in this sermon of Paul, and ask God to reveal Himself to you. Ask boldness and grace to rightly reveal God rightly to others. The Aim of today’s devotional study is to look at the very first revelation of God in the Bible and evaluate our experience of God accordingly. Concerning the Genesis creation account, and then the fall of sin, write down everything you can see about God, in the sequence it is recorded here. What do you note about this eternal creator-God’s relationship with his creatures? God is the creator of what is seen and unseen. God gives commands / the law. God is relational (walks with man). Which of the above attributes of God have you not had experienced personally or received revelation from God? For instance, you have read and heard about God speaking but you have not experienced it personally. Take some time to pray about these and ask God to reveal himself to you. The Aim of this devotional study is to grow in the knowledge and of God leading to a more intimate relationship with Him. 10 Behold, the Lord GOD comes with might, and his arm rules for him; behold, his reward is with him, and his recompense before him. 11 He will tend his flock like a shepherd; he will gather the lambs in his arms; he will carry them in his bosom, and gently lead those that are with young. 12 Who has measured the waters in the hollow of his hand and marked off the heavens with a span, enclosed the dust of the earth in a measure and weighed the mountains in scales and the hills in a balance? 13 Who has measured the Spirit of the LORD, or what man shows him his counsel? 14 Whom did he consult, and who made him understand? Who taught him the path of justice, and taught him knowledge, and showed him the way of understanding? 15 Behold, the nations are like a drop from a bucket, and are accounted as the dust on the scales; behold, he takes up the coastlands like fine dust. 16 Lebanon would not suffice for fuel, nor are its beasts enough for a burnt offering. 17 All the nations are as nothing before him, they are accounted by him as less than nothing and emptiness. 18 To whom then will you liken God, or what likeness compare with him? 19 An idol! A craftsman casts it, and a goldsmith overlays it with gold and casts for it silver chains. 20 He who is too impoverished for an offering chooses wood that will not rot; he seeks out a skillful craftsman to set up an idol that will not move. 21 Do you not know? Do you not hear? Has it not been told you from the beginning? Have you not understood from the foundations of the earth? 22 It is he who sits above the circle of the earth, and its inhabitants are like grasshoppers; who stretches out the heavens like a curtain, and spreads them like a tent to dwell in; 23 who brings princes to nothing, and makes the rulers of the earth as emptiness. 24 Scarcely are they planted, scarcely sown, scarcely has their stem taken root in the earth, when he blows on them, and they wither, and the tempest carries them off like stubble. 25 To whom then will you compare me, that I should be like him? says the Holy One. 26 Lift up your eyes on high and see: who created these? He who brings out their host by number, calling them all by name, by the greatness of his might, and because he is strong in power not one is missing. 28 Have you not known? Have you not heard? The LORD is the everlasting God, the Creator of the ends of the earth. He does not faint or grow weary; his understanding is unsearchable. 29 He gives power to the faint, and to him who has no might he increases strength. 30 Even youths shall faint and be weary, and young men shall fall exhausted; 31 but they who wait for the LORD shall renew their strength; they shall mount up with wings like eagles; they shall run and not be weary; they shall walk and not faint. Write down all the names of God that are attributed to Him in this text. Read through the passage again and give one-word descriptions for God from every verse, i.e. v9 “Comforter”, v10 “Judge”, v11 “Shepherd”, etc. List the descriptions from this section that relates to God’s transcendence (bigness, otherness). List the descriptions from this section that relates to God’s immanence (nearness, closeness to us). Look again to verses 18-26. The phrase “To whom then will you liken/compare God” is repeated deliberately (v18 and 25) to compare the two following statements. What ironic comparison does the author highlight? What is the lesson? What is a god? Why do people worship gods? What are the benefits of worshiping gods? Name at least five motives/ benefits. (Look at the passage if you do not know). Look at your list of motives for value and trusting a god above. Reflect in your own life – do you trust or value something other than God for the above? For instance: do you trust in money for security, regard your possessions as prize, someone as first option for help or wisdom, or your work for identity? Pray through that and declare God as primary in all things: wisdom and direction, strength and security, identity and value, etc. Spend time in prayerful worship to our great, transcendent God who knows and relates and lavishes his goodness on his creatures whom he loves. Tell him how great he is! The Aim of this devotional study is to grow in knowledge of God and practicing our appropriate response towards Him. 1 A Song of Praise. Of David. I will extol you, my God and King, and bless your name forever and ever. 12 to make known to the children of man your mighty deeds, and the glorious splendor of your kingdom. Note: this psalm of praise is acrostic, meaning each verse (or line) begins with a successive letter of the Hebrew alphabet. Notice also the repetition within the verses – common of Hebrew poets to emphasize key points, such a “[they] shall speak of your glory and tell your power” and “Your kingdom is everlasting… your dominion throughout all generations”. Mark all these occurrences of repetition within a single verse. List the attributes / characteristics of God in this Psalm that speaks for his transcendence (very big and not like us at all). List the attributes / characteristics of God in this Psalm that speaks of his immanence (close and intimate and personal). Look at the attributes / characteristics that David used to describe God with. Which of those have you personally experienced or witnessed? Pray through each one and tell God where and how you have experienced his greatness in each of these lines you relate to. Look at the attributes / characteristics that David used to describe God with. Which of those seem foreign or far out to you? Pray through those lines and tell God why they seem unfamiliar to you, and ask Him to reveal Himself to you in that way. Verse four reads “One generation shall praise your works to another…” Thinking back through your life, start making brief notes of God’s intervention in your life (“His works”). Write how you experienced it, so that you can tell them to the next generation to stir their faith in the Great and Living God. Praise God for these as you make brief notes. (The goal is to write your personal version of Psalm 136).